Curd Jürgens, Geneviève Page, Jacques Dacqmine et al. In 19th century Russia, a Tartar rebellion led by Feofar Khan (Valéry Inkijinoff) separates Russia from Siberia where the Tsar's brother and his troops are making a last stand. 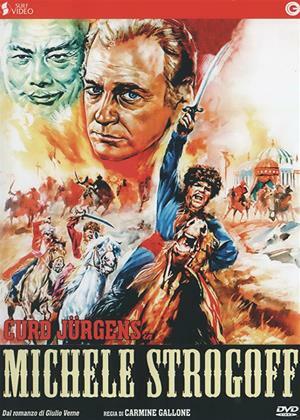 The Tsar entrusts Captain Michel Strogoff (Curd Jürgens) to deliver a vital message to them.